Welcome to Lake James, North Carolina. This beautiful area is located on the banks of Lake James and his home to a variety of leisure activities. Rent boats or jet skis and take to the lake for a day filled with fun and excitement. After spending the day on boats in the lake grab a fishing pool and cast out and see if you can catch the “big one!” Have you ever wanted to mine for gold? This area offers a gold and gem mining area where guest can pay to sift through the sand and pan for real gold! Lake James also has a variety of state parks and nature reserves in the area, sure to satisfy nature lovers of all ages. After days of enjoying the nature don’t forget to check out the large variety of local wineries for some fresh from the vine wine! From great local vineyards to breathtaking Lake James there is fun and relaxation around every corner. Spend your days hiking the state parks or floating on the lake and your evenings in the winery enjoying an adult beverage. If your traveling with children take them down to the gold panning area and let them experience first hand what it is like to pan and find gold! With some much to do and see in the area Lake James is the ideal place to vacation in North Carolina. What are popular places to visit when visiting Lake James? If you are looking for relaxation and adventure, Lake James, North Carolina is the place for you! With endless quality restaurants, family attractions, entertainment and nightlife, you are sure to love your Lake James vacation. Yes! We love our pets and are sure you do too! SMBYO has many pet friendly rentals in Lake James. You can use our Advanced Search feature to narrow down our Lake James rental properties to just show those that are pet friendly. 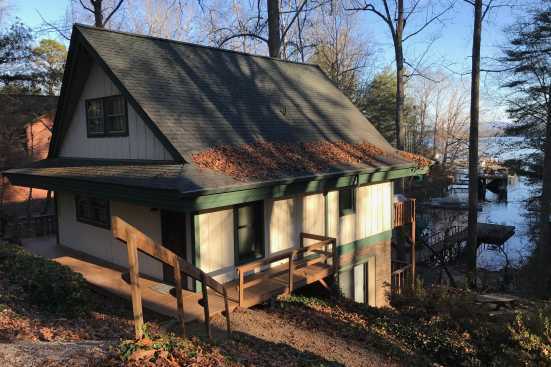 Are any of the Lake James rentals on SMBYO online bookable? Yes, when viewing Lake James rentals on SMBYO you will see two options. Properties that are online bookable will be labeled with our Book Online icon. You can select the Lake James rentals that have our Book Online icon to book them directly on SMBYO.